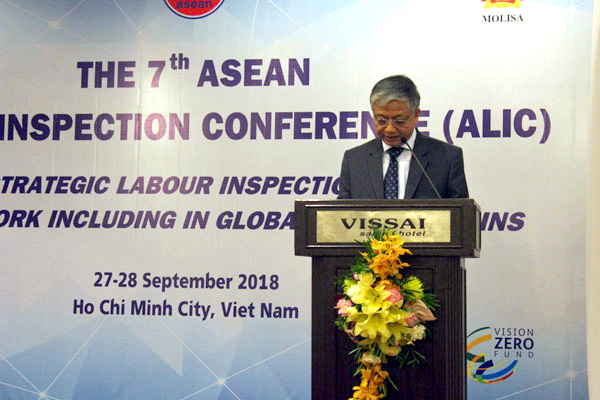 (LDXH) From 27-28 September 2018, MOLISA in collaboration with the International Labor Organization (ILO) organized the 7th ASEAN Labor Inspection Conference in Ho Chi Minh city. 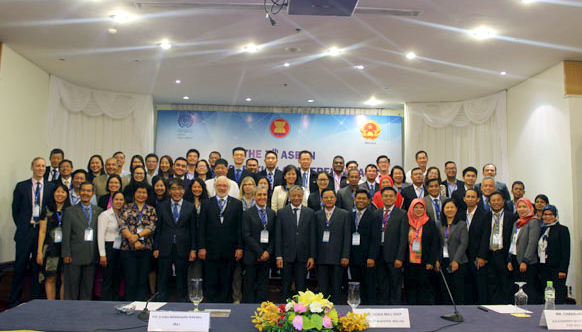 ASEAN Labor Inspection Conference is a regional annual event organized to share experiences in the field of labor inspection to make recommendations for capacity building and coordination of the labor inspectors of ASEAN countries. 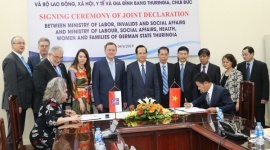 Derived from the importance of promoting OSH in each country as well as the lead role of inspectors in overseeing the global supply chain labor market, the theme for this year's conference was “Strategic labor inspection for Decent Work including in global supply chains”. 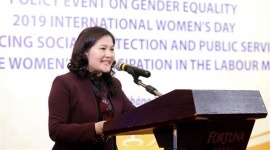 The purpose of the Conference is to assist ASEAN labor inspectors to strengthen compliance through a strategic approach, as well as a forum for ASEAN countries to share experiences on labor inspections. 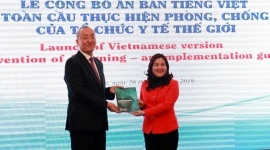 Speaking at the conference, Deputy Minister of MOLISA Doan Mau Diep highly appreciated the confidence of ASEAN member countries for proposing Vietnam to host labor inspection conference three times. 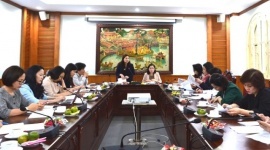 He hoped that the delegates would have more time to exchange views and solutions to work out the labor-related challenges in the global supply chain. From the results achieved, after this conference, the inspectors can use the most of their resources to improve labor working conditions, contribute to the economic and social development of each country. 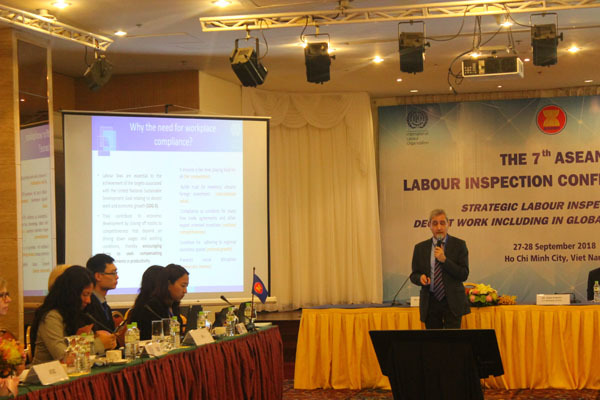 Mr. Bernhard Raebel, vice president of the IALI Association, also praised the theme for this year's conference, as the global supply chain is an important issue for labor inspectors. 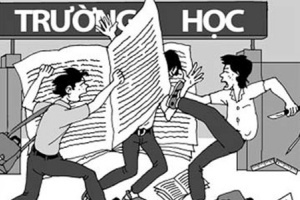 No labor inspectors in the world have enough resources to delegate their tasks through a single inspection. 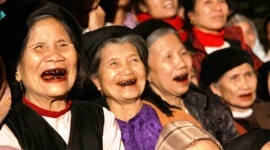 On the other hand, labor inspectors only have power and obligation in their own country. Therefore, labor inspectors need to identify other influences - using different lever and traction through the global supply chain (GSC) - one of the potential delegations. 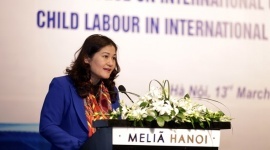 At the meeting, participants will receive the latest information from the ILO experts on the organization's tools related to labor inspection and working conditions in the global supply chain as well as strategy plan to improve working conditions in the global supply chain. At the same time, labor inspectors in 10 member countries will also share their experiences on strategic inspections for sustainable work.